Meet the Host - The Pulse | Accessible Media Inc.
Dave Brown joined the broadcasting universe in 2009. But his love for radio started well before he got anywhere near a microphone. For the longest time all he wanted to do was host a radio show and connect with listeners that would be willing to lend him an ear drum. 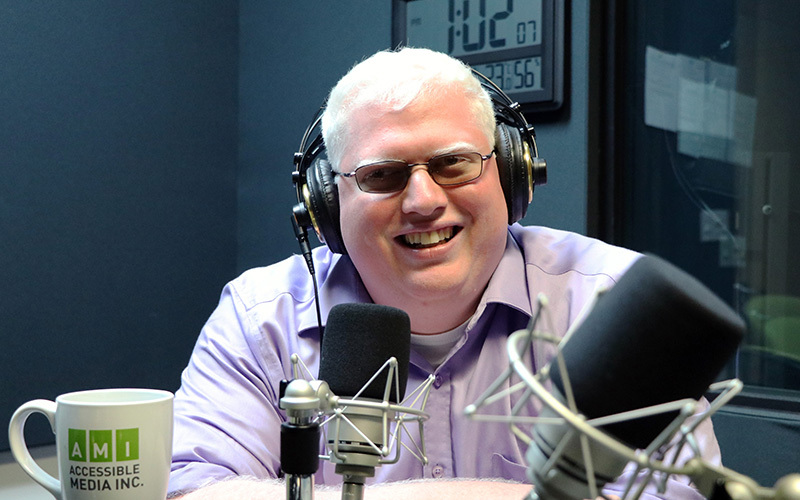 After successful stops in the Algonquin College radio broadcasting program, CBC radio and Shaw media, Dave joined Accessible Media full time in late 2014. With a passion for interviewing guests and interacting with the audience, Dave looks forward to sharing some time with you everyday! Follow Dave on Twitter and let him know what you think of the show!